I’m no stranger to double dipping, especially when it comes to blues. Many spectacular outfits are created with a monochrome palette. 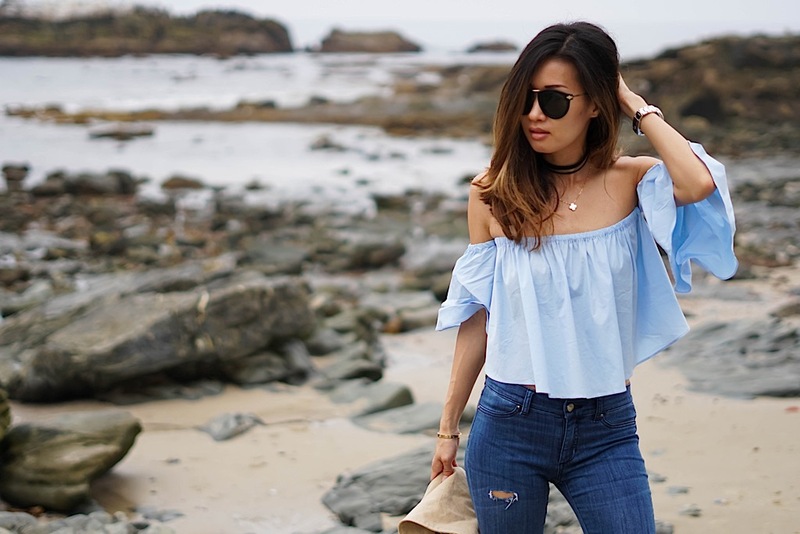 This is one of my favorite off the shoulder tops this season. Other than the dramatic caped sleeves, it is my favorite because of the separate arm bands which prevent the off the shoulder from becoming on the shoulder. The top is slightly cropped, but not overly short, and made from poplin so that it is light and airy. The shirt itself is so breathtaking that you don’t need much to compete with it. 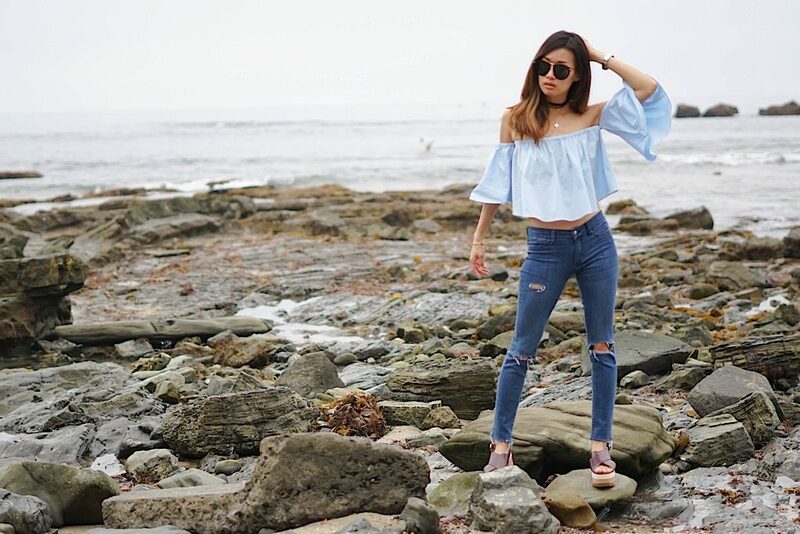 Paired with skinny distressed jeans (which I did myself here) and my favorite shoe trend of the season, flatforms, this look will be on major rotation all summer long. Adore this look! The top is amazing the separate sleeves must be really helpful! The separate sleeves make such a difference. 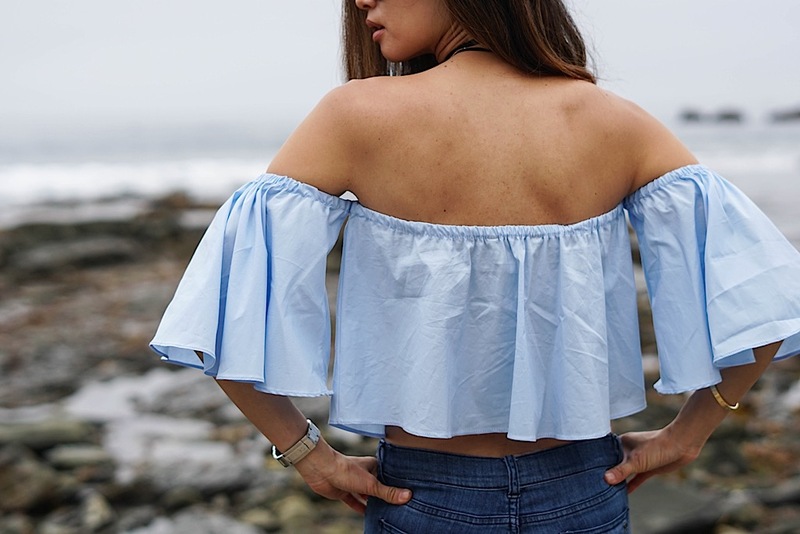 Now when I look at off the shoulder tops, I tend to look for ones that are separate so that they are much easier to wear and not ride up my shoulders!